Design and production of a village sign. The Parish Council required a design for a new village sign and had no pre-conceived ideas about what they might like. After much discussion about what items might be included the final design was created. 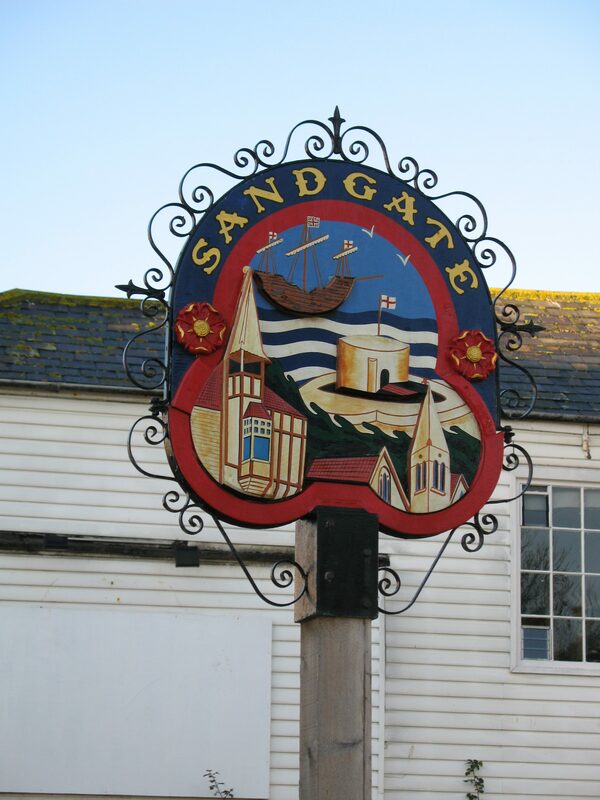 The shape of the sign is based on the plan of the Sandgate Castle (built by Henry VIII) and there are references to various other aspects of the town from the Tudor Rose, the ship building and the seaside location.